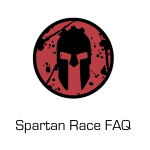 Maybe you’re getting ready for OCRWC in London this year, or maybe you’re just getting ready for your first Spartan Race. Either way, chances are you are going to have to travel a bit to get to your race. Being prepared is one of the key things OCR athletes learn as they go from novice to seasoned vet in races like Spartan Race vs Tough Mudder. We identified some key must have travel gear for OCR that you should stock up on this offseason. In this article, we focus on the must have travel gear for before and after a race. For a complete list of gear that you should have during the race, check out our article on the Must Own Spartan Race Gear for your Next OCR Race. 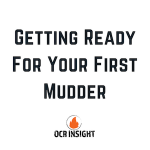 Most OCR events have some kind of bag check, so you can tackle the course without having to worry about your bag, and its contents, going missing. We love the ZOMAKE Ultra Lightweight Packable Backpack for a lot of reasons. For those of us who enjoy spending time at the afterparty and cheering on friends and competitors, the Dryrobe is a key addition to your must have travel gear for OCR. There are lots of options, including short and long sleeve, as well as a towel-material option. Each of them make for great ways to get dry, warm, and keep you out there soaking in the fun. 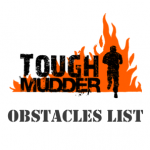 Lets face it: you’re going to have some muddy gear once you finish your OCR race. 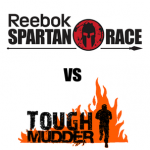 No matter if you run Spartan Race vs Warrior Dash vs Savage Race, you’re going to be caked in mud and sweat. That is why having no less than two trash bags in your travel bag for after the race is essential. Your car will thank you when it’s time to go. Fueling before a race is something most seasoned OCR runners are good at, but fueling after the race is just as important. Be sure to pack plenty of snacks and drinks for both before and after the race. We love GoMacro protein bars because they’re vegan, pack plenty of protein, and taste great. 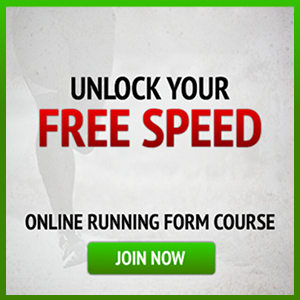 Take one a few minutes before you start, and have one ready for after the race. You can wash that down with some Gatorade to replenish all the lost sodium you sweated out during the race, but we prefer Harmless Harvest Coconut Water, which gives you all the electrolytes you need with no added sugar. So if you plan to hang out in the festival area after or race, or don’t want to ruin your “clean shoes” when walking to the car, you need Dry Steps Waterproof Shoe Covers. These must have travel gear for OCR are reusable, look a little goofy, but keep your feet and “clean shoes” just that — clean. The best part is that they are easy to clean, and you can toss them in a garbage bag once you get to the car, and not have to worry about bringing home any part of the course with you on your floor mat.